Your sales team is the lifeblood and backbone of your organization. Regular sales training is imperative to the success of your organization, as sales produces the revenue that supports many of your other essential business operations. 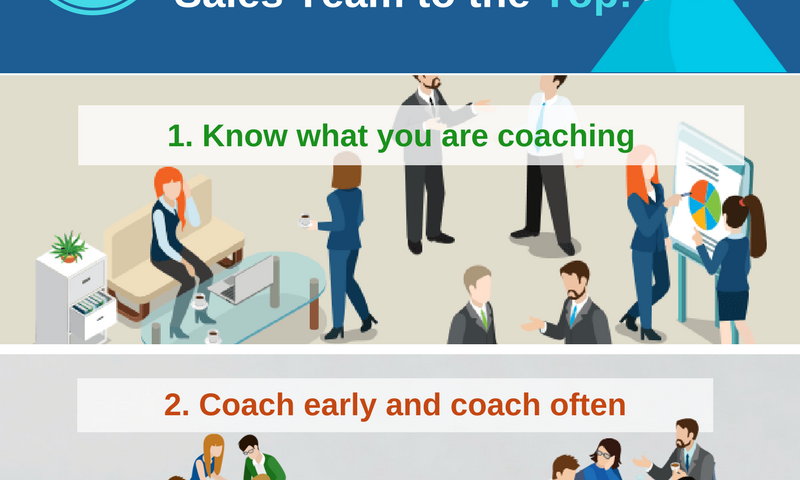 Before coaching begins, sales managers need to decide which areas to focus on, and how those areas will be measured. Remember, areas of focus should include strengths and weaknesses, skills and attributes, and personality and behavioral traits. Creating a benchmark for these areas will allow managers to measure how the sales reps naturally approach sales, and where the coaching effort is needed most. Effective sales managers coach their sales reps from day one, and they coach and offer sales training on a regular basis. This allows managers to catch any potential problems before they happen, and helps to increase performance by showing continued interest while providing feedback. Sales managers should work with each sales rep to set clear, realistic goals based on performance expectations. Although sales reps share certain characteristics and skills, they are individuals. It is important for sales managers to remember that one size does not fit all. Each rep possesses unique qualities. The better a manager understands the sales rep, the more effective the coaching and the results. Good performance rarely happens by accident. Coaching-based performance management provides key insights about each salesperson, and shows the rep how to leverage that knowledge to improve sales performance. This methodology works because managers can use it continuously and proactively from the beginning of each sales rep’s career. Relationships directly impact productivity, and understanding relationships improves team dynamics. Unhealthy relationships clearly undermine performance, while colleagues working together in harmony have the best chance of success. Potential conflicts need to be identified and dealt with early. Defining conflict points will enable leaders and sales team members to work together to avoid or solve issues. Taking time to develop and improve your sales team generates leadership, and ensures future business success. The coaching that sales managers provide should prepare reps for leadership positions, and should align with the organization’s mission, strategic plan, budgetary resources, and desired workforce competencies.